Saturday evening and Olive Tree House was fully booked. Simply decorated with large photos of old olive trees decorating the walls, the restaurant has a warm ambiance that is enhanced by the delicious aromas coming from the open kitchen. The staff were delightful – attentive, friendly and easily managing the needs of the guests. After sitting, we were brought a carafe of mint/lemon water and a selection of bread with a dipping bowl of olive oil/balsamic vinegar. Grilled Scallops (€14.50) – perfectly cooked scallops served on a marinated salad of carrot, mushroom and zucchini and decorated with truffle (grated and oil). All entrée descriptions looked delicious, but for us this was the winner. Beautifully presented and delectable. Fresh Fried Calamaris (€18.50) – in a delicate batter and combined with marinated grilled peppers. This delicious mix of octopus and peppers was dressed in a basil pesto and served on a potato cake. Wonderful combination and the best calamari I have tasted ever. Roasted Lamb (€21.50) – succulent pieces of lamb, accompanied by artichoke hearts and mixed in a sauce of lemon juice, greek yogurt and herbs. Bougatsa(€7.50) – this traditional greek pastry decorated with cream and cinnamon. Light and moreish. 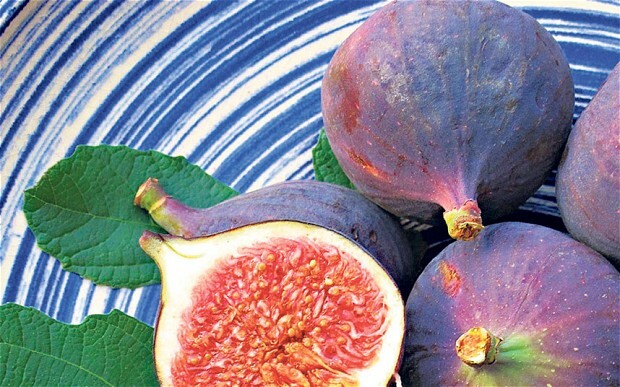 Greek Yogurt (€8.00)and Figs cooked in brandy – delicious combination of flavours and a wonderful end to a meal. SUMMARY: An amazing dining experience with delicious food and great service. Our total bill with a beer9€3), a glass of wine(€4), a bottle of Mancura (house) wine (€20) and a AH voucher for a free 3-course meal came to €72.50 (without voucher: €105.50).